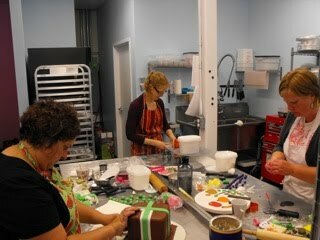 Whimsical Cake Studio Inc.: New Fondant Class! It was a chilly Sunday morning today, but I got to spend the afternoon with some very fun and talented ladies. I typically only take 6 students max, but I got a last minute request to squeeze in two more students. My baker twisted my arm and said that I could do it. So I said yes! 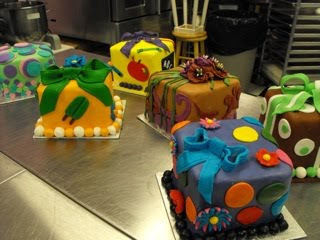 For some students, it was their very first time decorating cakes and for most it was their first time using fondant. 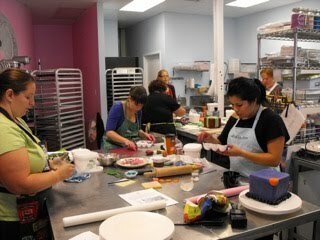 Some ladies got covered in buttercream, some went home with multicolored hands but everyone, including myself, had a good afternoon sharing and learning. 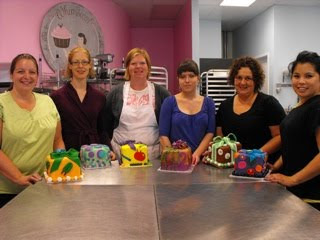 Teaching classes always reminds me how much I loved being a teacher...and how much I love cake decorating. I went into this business because I enjoyed designing cakes and wanted to share my designs with people and also share "how" to make cakes! These ladies didn't know this coming in to my class today, but they revived me in a sense! 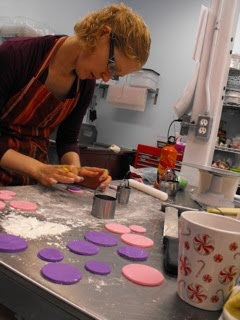 So, thank you for seeing the hard work that goes into the cakes we make and for having fun creating them! Hard at work designing their first fondant cake! A couple hours spent on trial and error and details....it's all in the details. Oops...I forgot to give the warning about food coloring! 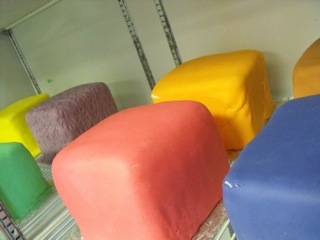 I mentioned it AFTER they started coloring fondant. So they went home with hot pink hands! Sorry! Proud of their UNIQUE cakes! I was proud too! 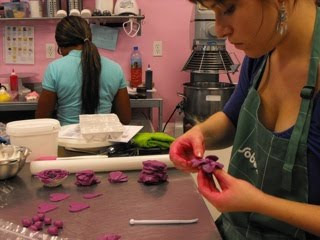 I love seeing people's creativity come out when they start playing with fondant. 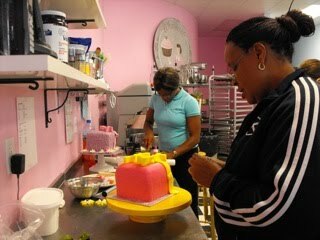 Cake decorating is not always easy, but when you allow us to use our imaginations, you sure help us make the job more fun! You should really try it sometime...fall and winter classes will be posted on our site this week!